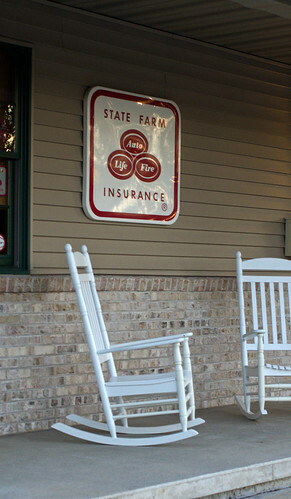 When I sat down to buy a term life insurance policy, I did my homework. I looked at the offerings of a lot of different insurance companies. I checked into how reliable all of those companies were. I looked at policies of various lengths. I studied and studied. One of the constant things I found was that per year, 10 year policies were less expensive than 20 year policies, which were themselves less expensive than 30 year policies. The exact difference between the annual premium varied from company to company, but I was almost always paying a lot more for the 20 year policies and even more for the 30 year policies. At first glance, this seems like a no brainer. Take the cheap ten year policy, right? That’s not really the smart move. Let’s say I take that ten year policy. It’s cheap now, so I am doing really well for the time being. In ten years, I have a house full of teenagers. I don’t want to have that policy disappear quite yet. So, I’m back shopping around for life insurance. The only problem is that in ten years, I’ll be in my mid-forties. I may have had other health problems develop in that period. Even in the best case scenario, the cost of my insurance will have gone way up. I will be paying more for that second ten years than I will for the latter half of a twenty year policy, likely similar to what I’ll pay for the middle years of a thirty year policy. Roll forward ten more years. I’m in my fifties. Ideally, my children are out on their own. My youngest will still be in college. I’m likely going to still want life insurance coverage. The problem is now that my rates for even a ten year term policy are going to be outrageous, far more than the last ten years of a thirty year policy I bought in my thirties. The best solution is to get term life insurance now that will cover a term up to the point where you don’t feel you need significant life insurance. For me, that’s around the twenty or twenty five year mark. If I survive to that point, I will have accumulated plenty of assets through spending less than I earn, so I won’t really need the insurance. If I were to go the “cheap in the short term” route and get a ten year policy, it would be inexpensive now, but it might be mighty expensive in a few years. I am far better off locking in a reasonable rate now for the period that I want to cover. Take a look at The Simple Dollar’s insurance education portal for more on term life insurance policies.